Your Holiness, good morning. I’m from Portugal. The Portuguese are following and praying for this trip, which coincides with May 13, the 90th anniversary of the apparitions of Fatima. Do you want to offer us a word about this coincidence, also for the Portuguese people? Yes, for me it’s really a sign of providence that my visit to Aparecida, the great Marian sanctuary of Brazil, coincides with the 90th anniversary of the apparitions of the Madonna of Fatima. In this way, we see that the same Mother, this Mother of God and Mother of the church, Our Mother, is present to the various continents, that she shows herself to be a mother to the various continents, always in the same way but with a closeness for every people. To me, this is quiet beautiful. It’s always the Mother of God, always Mary, and yet in a certain sense she’s ‘inculturated,’ with her specific face wherever she is – in Aparecida, in Fatima, in Lourdes, in all the countries of the earth. Thus, she reveals herself as a mother who is close to everyone, and everyone can come close to one another through her maternal love. 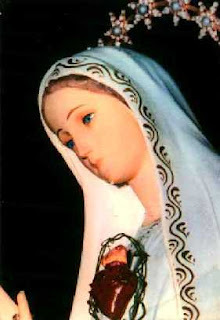 This connection which the Madonna creates among the continents, among the cultures, because she’s close to every culture and yet she unites them all, seems important to me – this specificity of the cultures, all of which have their riches, yet leading to communion in the one family of God. More prayers I'm sure will be appreciated!